We are so proud to say, that not only one, but two of our projects were selected for The Bradley Collection Edition 6 Brochure. 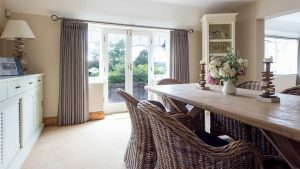 The Bradley Collection are one of the UK’s top curtain pole and track manufacturers. Their innovative and hand crafted designs are unrivalled. The brochure is distributed amongst interior design retailers and independent designers across the UK and overseas including their growing, American customer base. We give a huge thanks to our customers who allowed us to photograph their gorgeous homes and to our excellent team of makers and fitters who made these curtain projects look so spectacular.